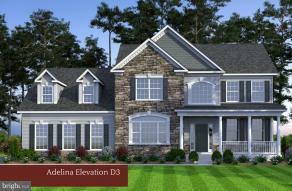 ** TO BE BUILT ** Quality Built Homes "Adelina" Model shown with optional side load garage. Oakwood Estates Phase 2 NOW OPEN! A few lots left in Phase 1. Open and inviting floor plans in convenient community that will have PLAYGROUND, TENNIS COURTS, POOL AND CLUBHOUSE. Close to Dahlgren, Fredericksburg and Md. Visit our Onsite Model Home Sales Center. Open Thursday-Monday 11-5. Builder Name: Quality Built Homes, Inc.